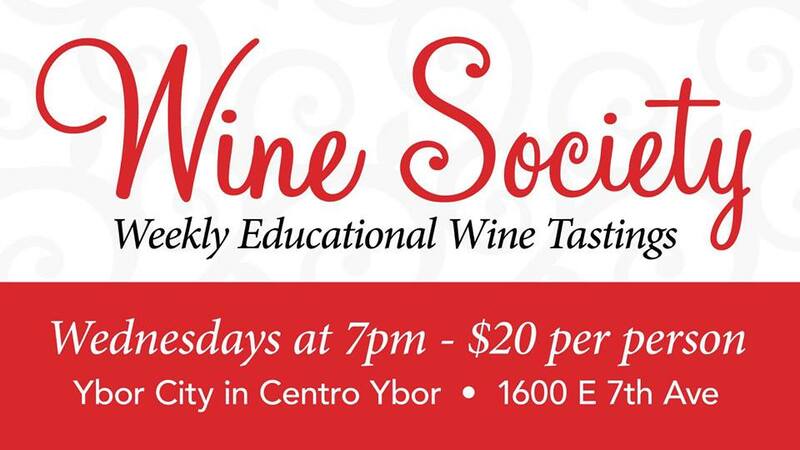 Please join the Ybor City Wine Society for our Weekly Educational Wine Tasting, every Wednesday at 7pm. Our educational Wine Society tastings also feature wines from our monthly Wine Club selections at the first tasting of every month! Come learn about wine with us at Wine Society this week and get a taste of what Wine Club is all about! RSVP is not necessary for our Wine Society tastings but always appreciated. You can call the Ybor City Wine Bar at 813-999-4966 or email us at info@YborCityWineBar.com.